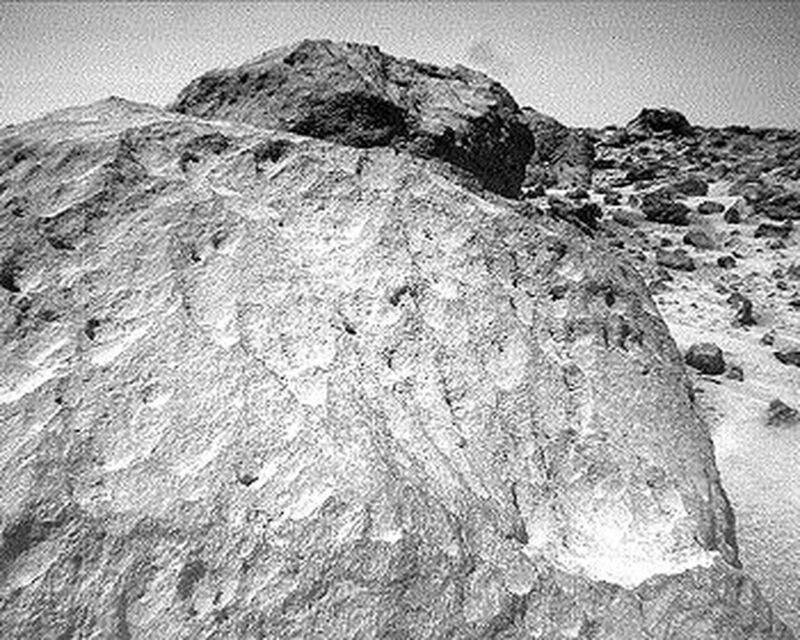 A close-up view of the rock "Moe" in the "Rock Garden" at the Pathfinder landing site. "Moe" is a meter-size boulder that, as seen from Sojourner, has a relatively smooth yet pitted texture upon close examination. 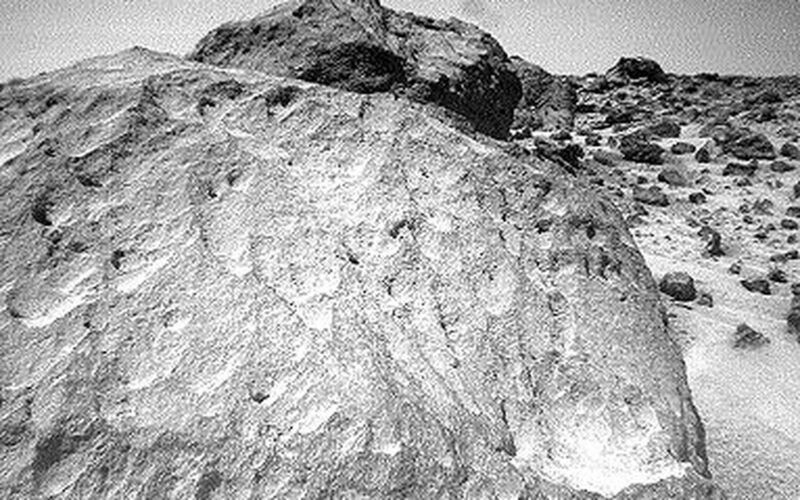 Such a texture is seen on Earth on rocks that have been abraded by wind in a process that is analogous to sand blasting. This view of Moe shows two faces on the rock, one (left side of the rock) facing north-northeast and the other (right side) facing east. These two faces are thought to have been pitted and fluted by strong, "sand"- carrying winds from the northeast. This image and PIA01564 (left eye) make up a stereo pair. 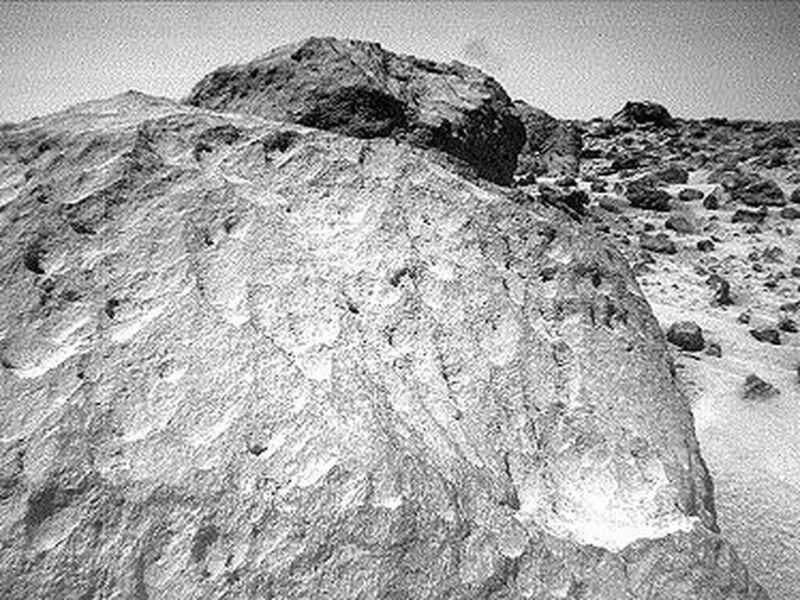 Mars Pathfinder is the second in NASA's Discovery program of low-cost spacecraft with highly focused science goals. The Jet Propulsion Laboratory, Pasadena, CA, developed and manages the Mars Pathfinder mission for NASA's Office of Space Science, Washington, D.C. JPL is an operating division of the California Institute of Technology (Caltech).